For July I removed the internal battery from the KX2 and used it with my 20 m 1 Watter. 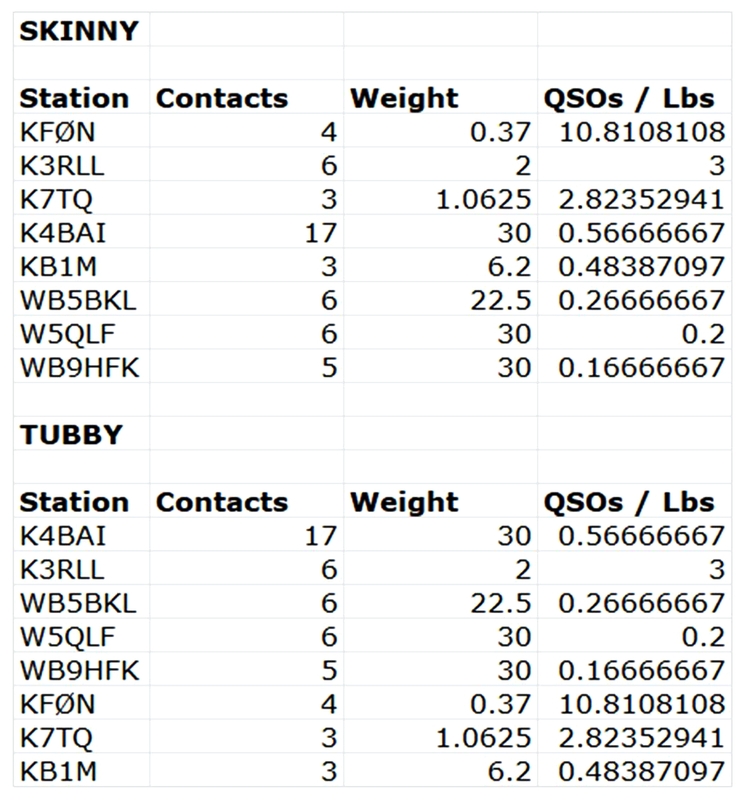 Got 3 Qs with the usual suspects K4BAI, W5QLF, and WB5BKL. For some reason the 1 Watter's internal keyer kept slowing down. I called it quits in half an hour. Nice try, but next time I'll have a battery and rig that will last the full time. Activity seemed to run a little more slowly this evening, no doubt impacted by the holiday festivities. Was enjoying a few nice contacts until along came insurmountable, overwhelming, spectacular QRM! Yes, the local municipal fireworks are just way too close to hear the radio, so it was a good time to curtail the radio fun and enjoy the night sky spectacle celebrating the birth of our wonderful country. God Bless America! K3/10 @ 5W to a 20M delta loop, a 40M dipole or a 40M extended double Zepp. A very poor showing this month. Not only did I have pops, bangs, snaps and crackles from the radio, I also had them from outside! The fireworks upset the dog, who usually is the dependable second Op. The 13 Colonies contest was another distraction. 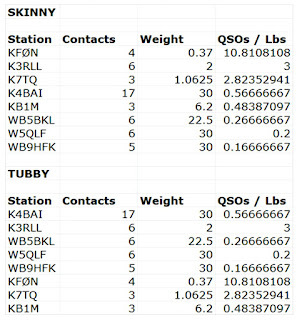 Five states with best signals: 20M - AB0CD, 40M - K4BAI, 80M - K4BAI. As alway, my thanks to all. Had fun.